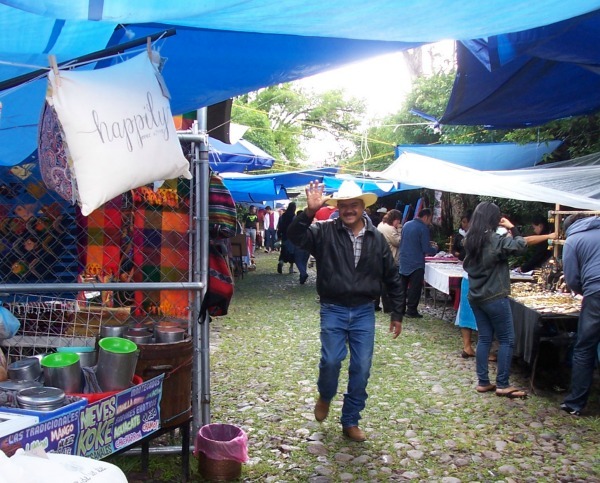 We at Cristi Fer Art Studio love to support the community of artisans and artists in San Miguel. Last weekend we organized an Art and Crafts Fair. In spite of a rainy weekend lots of visitors stopped by to enjoy the ice cream, unique jewelry, original paintings, fantastic home decor, natural skin products, and honey and lavender products. The state of Guanajuato, and specifically Dolores Hidalgo, is the place where the movement started.